Note: To order the right size, kindly measure the length of your foot. 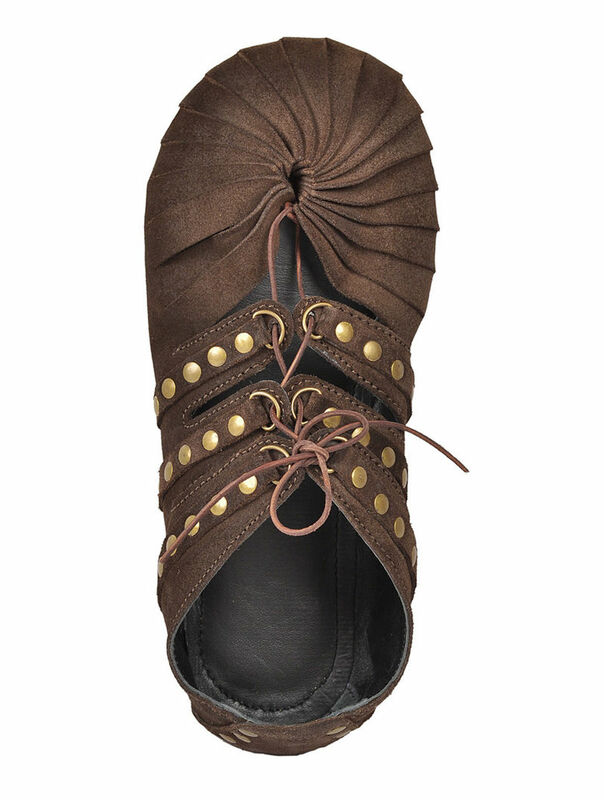 - Stunning and chic, this pair of oiled-leather unisex barefoot shoes, with oiled-leather string laces for flexibility, Indian sheep Nappa leather lining, and natural rubber sole, has been hand-cut and handcrafted. - Enhanced with antique golden rivets. - These shoes have been engineered to provide barefoot feel, ensuring strength in the shoe and protection of the feet. - Every pair is different from one another. When not in use, it should be stored in a dust cover, a soft cloth bag, or a pillowcase to protect it. Should be touched only with clean hands.